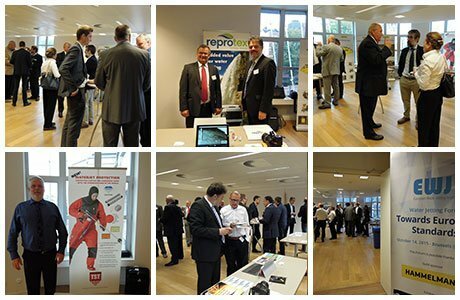 The European water jetting Insitute, EWJI, has prepared two different possibilities for participating in the EWJI Annual Convention 2016 aimed at the suppliers of the industry: exhibitor and sponsor. The event, to be will be held in Cologne, Germany, from 16th to 18th October, 2016, offers the opportunity to meet with water jetting industry professionals of all over Europe all at once. The option of exhibitor includes a desk at the Exhibition Area, visibility of the brand on all the promotional materials and documentation of the event, and also, two Conference tickets. The option of sponsor includes a desk at the Exhibition Area, preferential visibility of the brand on all the promotional materials and documentation of the event, four Conference tickets, full page of advertisement on the Conference Book, four Gala Dinner tickets and documentation on the conference bag. In addition, EWJI offers extra options to customize the participation of the sponsorss and exhibitors in the Convention, as a Gala dinner or Welcome Cocktail sponsor and technical presentation in the conference program, among others.